If there’s any industry that understands the value of mobile messaging and SMS, it’s the high tech industry. Companies within this sector understand that text messaging is extremely valuable and versatile. From engaging with customers and clients to internally communicating with employees in different departments, mobile messaging is more valuable than ever. The question is, are you using mobile messaging to move your organization forward? When you look at how Americans use their cell phones, 81 percent report sending or receiving text messages. That far outnumbers the percentage of cell phone owners that use their device to access the internet (60 percent), use email (52 percent), download applications (50 percent), get directions or use location-based information (49 percent), listen to music (48 percent), or participate in video calls or video chats (21 percent). In other words, text messaging is the number one featured used on smartphones. From a business perspective, this is something you can no longer ignore. When you zoom in and begin looking at the high tech industry in particular, it becomes apparent that SMS is a critical component of successful customer and employee engagement. This two-sided nature of mobile messaging makes it one of the more valuable modern investments a company can make. According to an IDC InfoBrief we recently sponsored, 90 percent of high tech companies are currently using global SMS or plan on doing so in the near future. Roughly 85 percent of these organizations believe mobile messaging has a quantifiable impact on customer experience. 70 percent believe it has a “considerable” or “major” impact on brand awareness. From the vendor point of view, we understand that most high tech companies are looking for three forms of justification when considering an investment in mobile messaging. From our data, we’ve discovered that 50 percent of companies require ROI to gain funding; 37 percent need a cost reduction in order to justify the investment; and 43 percent take the payback period into account. Customer service. The primary use of SMS in the high tech industry is enhancing customer service. Depending on your strategy, this may look like sending coupons and deals to loyal customers, providing customers with delivery tracking for online shipments, notifying customers when certain products become available, and providing customers with streamlined help. Customer surveys. According to our sponsored data, 52 percent of high tech companies believe SMS is “effective” or “very effective” for customer surveys. If you’re having trouble getting customer feedback on email or online surveys, SMS may be a more effective form of feedback collection. Workforce management. SMS is also valuable for communicating with employees. Approximately 72 percent of high tech companies believe SMS has a positive impact on employee communications. This could be anything from notifying employees about shift changes to sending password resets directly to an employees’ phone. Employee emergency alerts. Another internal use involves the dissemination of emergency alerts to employees. For example, if inclement weather shuts down operations, businesses can send text messages to employees in the middle of the night to notify them that work is cancelled. This saves a lot of time and eliminates the need to make dozens or hundreds of repetitive phone calls. There are dozens of benefits to implementing SMS into your business, including brand differentiation, attracting and retaining customers, gaining better customer insights, optimizing your workforce, improving speed of communicating, lowering operation costs, and more. While the four use cases mentioned above may be the most common among high tech companies, there are plenty of other ways to get creative with SMS. These are just a launching point for your company. At OpenMarket, we cater to organizations who have never invested in SMS, as well as those who experience a lack of satisfaction with their current providers. If you’ve dealt with poor customer service, poorly managed service, a lack of flexibility, or limited options when it comes to APIs and global SMS support, we’re here to help. If you’ve never interacted with a SMS solutions provider, we’re also here to help. Our goal at OpenMarket is to provide our clients with robust mobile messaging solutions that satisfy you, as well as your end users. 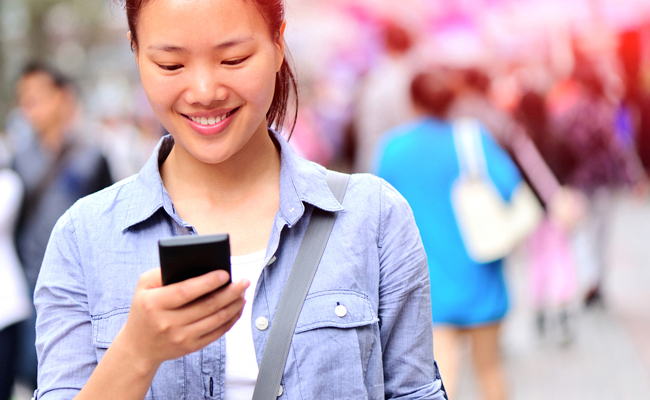 With our network, you instantly gain access to 200 countries via our Global SMS API. You can also rest assured your messages are secure on our enterprise-grade network with active monitoring and geographically redundant messaging features. For additional information on our SMS solutions and how they fit into the high tech industry, please contact us today.